​Everton welcome Merseyside rivals Liverpool to Goodison Park on Sunday for one of the most hotly contested derbies in world football. 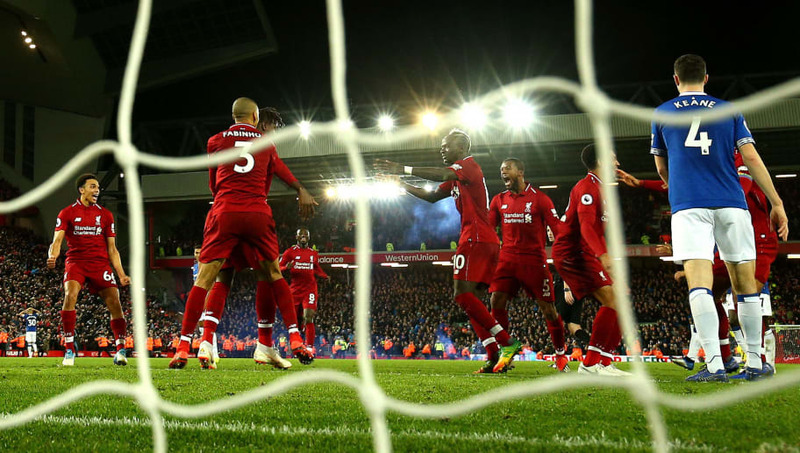 Unless Bournemouth cause a major upset and take points off Manchester City on Saturday, Liverpool will be aiming to retake their spot at the top of the Premier League table with a win against their rivals. Manager Jurgen Klopp will feel his side silenced some doubters with an emphatic 5-0 win over Watford, which saw them go one point clear of the defending champions. Meanwhile, the Toffees gained some much needed points when they claimed a 3-0 win over relegation threatened Cardiff. Marco Silva's men currently sit in ninth, four points off Wolves who are seventh. A win in this fixture will surely bring the fans back on side with the manager, who has been under immense pressure since the turn of the year. Kurt Zouma is expected to come back into the team after serving a suspension, while Yerry Mina is also an option after making the bench in miweek. Roberto Firmino suffered a nasty ankle injury in the stalemate against Manchester United last weekend and missed the game against Watford in midweek. However, he is in contention to feature on Sunday. This fixture will come too soon for Dejan Lovren, Joe Gomez and Alex Oxlade-Chamberlain, who are all still sidelined through injury. The Merseyside derby has been played out on a massive 283 separate occasions. Liverpool lead the way in terms of wins, amassing 119 victories in that period. Everton have won on 82 occasions, with another 82 games ending in draws. Their most recent encounter came with high drama late on when Divock Origi benefited from a horrible error from Jordan Pickford which gave the hosts a 1-0 win deep into added time. Liverpool are undefeated in their last five matches, drawing three and winning two. Draws away to Manchester United and West Ham have allowed chasers Manchester City to close the gap to just one point, and a slip from the Reds could see the current champions take first place. A highly impressive 5-0 win over Javi Gracia's Watford in midweek will have helped Klopp's side regain confidence and focus ahead of the final few months of the season. Everton, similarly to their opposition, only have two wins in their last five games, losing the other three. With a top seven finish still in sight for the Toffees, Marco Silva will be hoping they can achieve that goal and get into Europe next season, starting with a positive result against their biggest rivals. ​A win for Klopp's side is absolutely crucial if he wants to keep their title hopes alive. In what is bound to be a close encounter between two rivals, expect Liverpool to come out the blocks firing and be on the attack for most of the game. Everton will look to use set pieces and counter attacks as their way in against a tight Reds defence, but Liverpool should have enough to claim the win on Sunday.